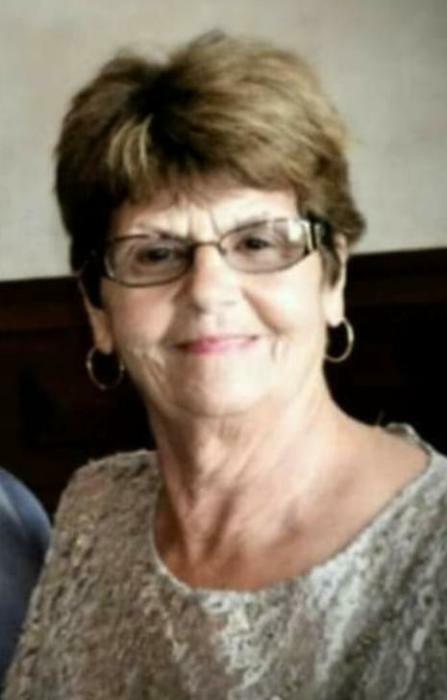 Jacquelyn R. Meholick, 74, Sykesville, passed away Tuesday, March 12, 2019 at Penn Highlands Health Care after a lengthy illness. Born May 30, 1944 in Punxsutawney; the daughter of the late John M. & Marie P. (Bellott) Farcus. She was married to Paul J. Meholick, he survives in Sykesville. Along with her husband, Jacquelyn also leaves behind two sons Paul A. Meholick of Sykesville and David S. (Robin) Meholick of DuBois, a sister, Margaret Petrini of Punxsutawney, six brothers, Steve (Joann Sager) Farcus of Walston, John (Patricia) Farcus of Walston, Bill (Jean) Farcus of Punxsutawney, George (Shirley) Farcus of State College, Samuel Farcus of Walston and Robert Farcus of Walston, four grandchildren, Lindsay, Taylor, Paige and one on the way. Jacquelyn was a graduate of SSCD High School in Punxsutawney. She was a waitress for many years and had worked at the DuBois Nursing Home for ten years. She enjoyed her yard, her gardening and canning, but she loved cooking for her family as well as spending time with her family and friends. In addition to her parents, Jacquelyn is also preceded in death by two sisters, Anna Marie Curry and infant sister Mary. Friends are welcome to attend a Divine Liturgy at 11 a.m. Saturday, March 16, at Holy Trinity Byzantine Catholic Church with the Fr. Vasyl Banyk as celebrant. Burial will follow in the church cemetery. Arrangements are under the direction of the Leo Nedza Funeral Home of Sykesville.